SalesHub is a leading inbound sales and marketing agency. 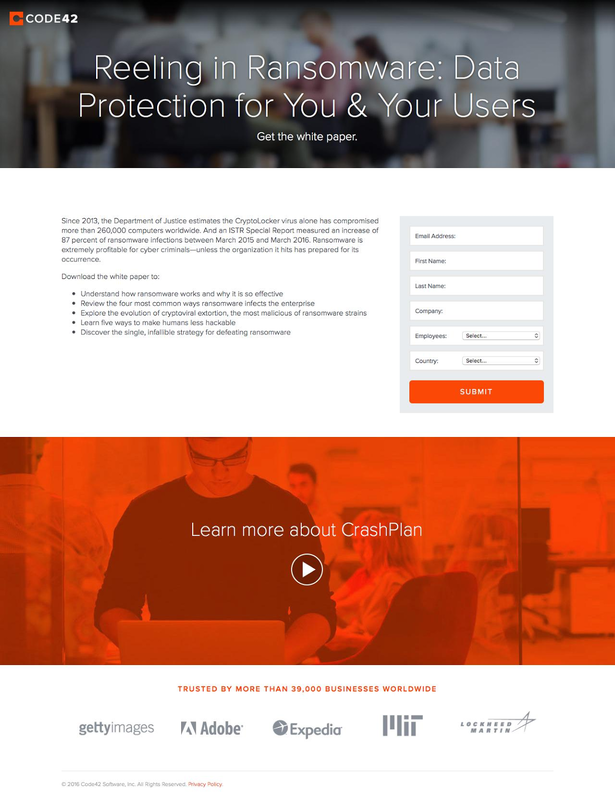 The professional layout and color scheme make this landing page a very respectable one coming from a respectable company. 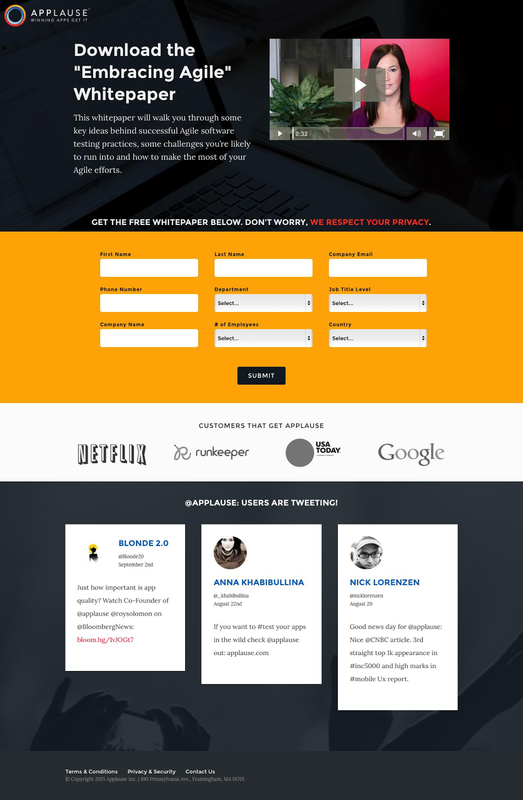 Nothing’s worse than a website you’ve clearly spent money on and a landing page you haven’t. The ebook’s image makes the conversion incentive more concrete and appealing. The headline is clear and describes the completeness of the whitepaper’s offer. No nav bar or external links means no distractions and a higher conversion rate. Design Hill makes it easy for businesses to quickly hire, manage and pay freelance designers. The social share toolbar makes it easy for people to share this whitepaper with their colleagues and friends – increasing its reach and lessening the expenditure for your marketing team. The visual header is a good one which grabs the visitor’s attention and reiterates that the content creator knows what they’re talking about when it comes to design and content creation. The comment section is actually a really intriguing idea. Disqus allows admins to moderate each comment and I’ve seen an active comment section (in webinar landing pages) increase conversion rates, so it’s worth testing. Applause offers software testing from more than 25,000 professional testers worldwide, giving businesses valuable insight into user experience and any issues before launching. 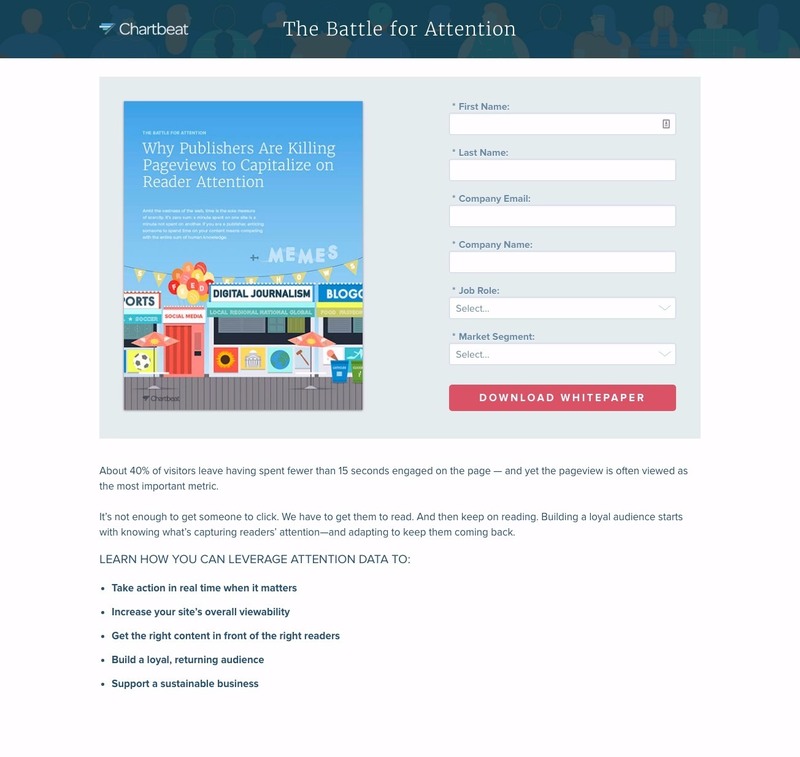 Whitepapers are middle of funnel content, and your landing pages can be more promotional than your TOFU gated content (educational ebooks or webinars), Applause features “Customers that get Applause” as well as Tweets from their users. BUT, it’s essential that all of this is below-the-fold. You still want to be optimized for conversion. A 30-second video is a great way to add personality to your whitepaper promotion as well as communicate the value of downloading. Be sure you choose a video thumbnail which is visually appealing (don’t have yourself blinking, for instance). An extensive form is more legitimate for MOFU gated content (like a whitepaper or case study). Your leads are further down the sales funnel and are closer to being converted and your sales or lead nurturing strategy needs all the help it can get. Telerik creates UI frameworks and app development tools to help developers build software and apps which users love. Professional, stock background image works well with the target market of professionals. Utilizes best practice of “after reading this whitepaper you’ll know how to…” which tells visitors exactly what they’ll get and what they can expect to learn. If learning these things is desirable to the visitor, they’re likely to convert. “Company” and “Job Title” are the two pieces of lead information which help the most when it comes to lead nurturing. They allow for intelligent segmentation (job title) and personalization/merge tagging (company) in emails. BPM Online creates CRM software to help businesses track and manage their sales funnel, customer support and demand generation processes. 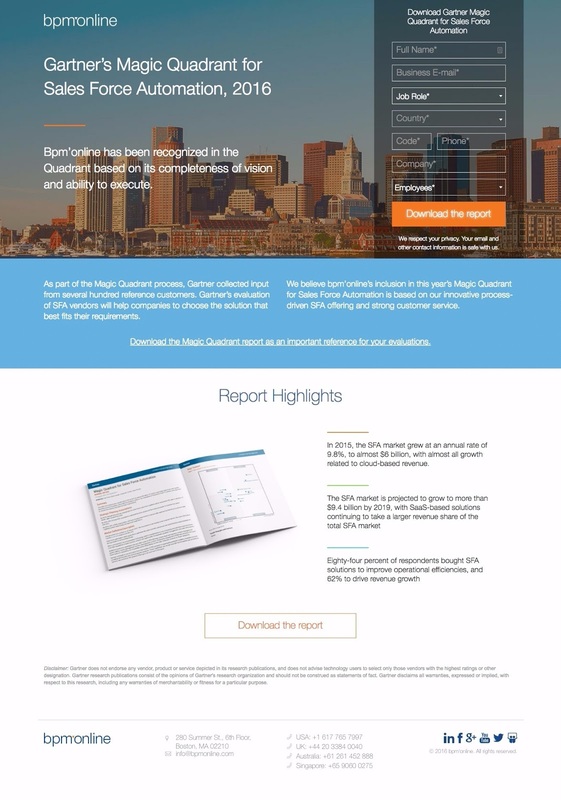 A “highlights” section is a great idea for industry reports or educational ebook landing pages. It teases the visitor with value and makes them wonder what else is in the resource. Any third-party publication which mentions or highlights your business as an industry leader needs to be promoted. They’re unbiased, and prospective customers will trust them far more than they do your business. Multiple CTAs beneath the highlights section ensures visitors don’t have to scroll up to convert. Showing an image of the ebook itself (as a hardcopy book) makes the value more tangible for visitors. They feel like they’re getting something more than a PDF, even if they know they aren’t. Code42 is an enterprise-level software company, providing “endpoint data protection and security” which enable IT and security teams to secure data reliably. Image which shows someone similar to the target market adds color and personality to the landing page. Asking for number of employees in the form gives lead nurturing and sales associates valuable information they can use to segment leads and prioritize high-value, enterprise-level leads. 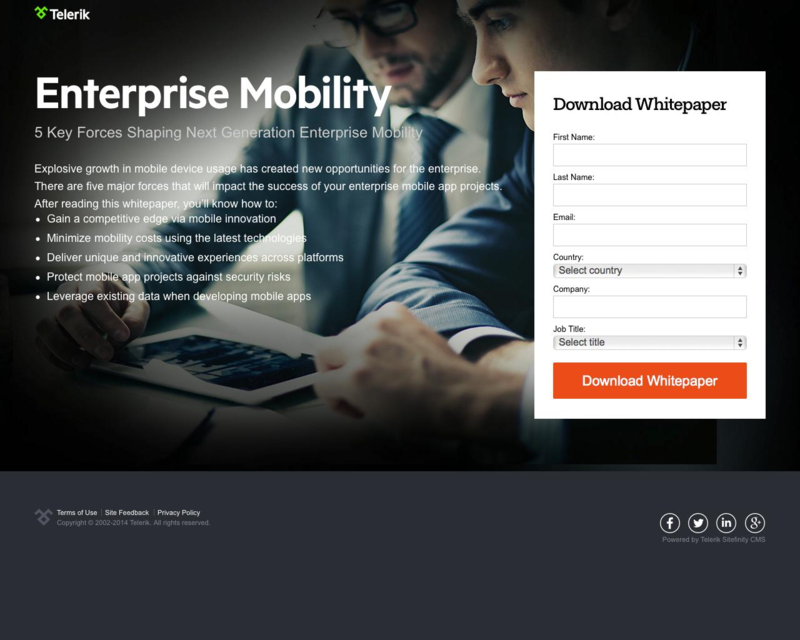 Whitepapers are middle-of-funnel content, and so the “Learn more about” section (related to a product) is an acceptable external link. Though normally an optimized landing page wouldn’t have any links whatsoever except the CTA button, sending existing leads to a product page or having them learn about your products is as valuable as downloading the whitepaper. Chartbeat is a software company which analyzes a business’ content and then informs marketers about the best way to keep readers engaged and how they can put targeted brand promotion in the right place at the right time. 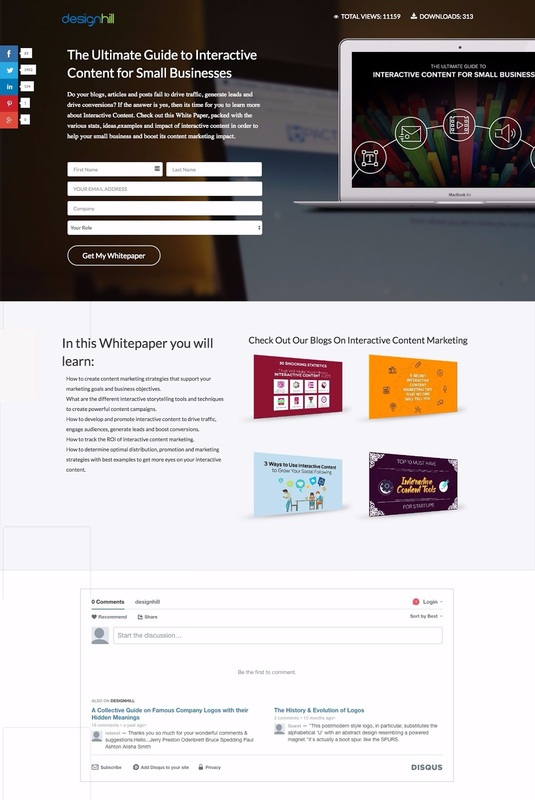 The landing page focuses attention on the bright, professional and fun image on the left side, balanced perfectly with the size of the form and CTA button on the right. Making your landing page pleasing to the eye is often underestimated as an element of conversion optimization. Starting the value messaging with a statistic which awakens the visitor’s pain point is as much a best practice as doing the same with a question, if not moreso. Statistics are seen as objective and unbiased. This page is upfront about its segmentation. A dropdown field within the form asks visitors if they’re a Publisher, a Brand, a Current Customer or Other. This effectively segments leads into relevant lists, allowing Chartbeat to nurture them (or not) accordingly. Ryder automobiles has been around for decades, and produces some of the most widely-used service vehicles out there, from vans to 18-wheelers. 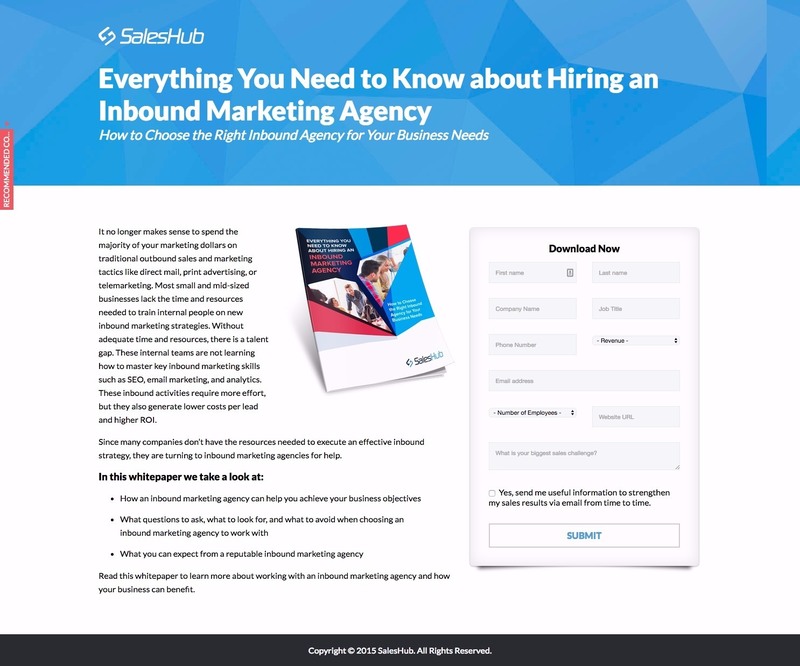 A heavy focus on illuminating the pain points of their target market by referencing a well-known and objective secondary source is a great way to put their visitors in the right frame of mind for conversion. Any time you can use statistics from an external, reliable source, do so. Their objectivity makes them far more effective than any messaging you can provide. The video case study relates very closely to the whitepaper, as both are about the solution Ryder provides. Videos, also, are an excellent way to communicate a lot of valuable information in an easy-to-digest format. Click below to download the most comprehensive collection of landing page strategies and examples ever compiled. Completely free.